Nicole completed her Undergraduate Degree and Masters in Osteopathy at Victoria University in Melbourne. Nicole balances a busy, healthy and dynamic lifestyle and aspires to motivate her patients to do the same. She loves being part of the team at The Osteopaths Of Blackburn. Nicole discovered osteopathy as a very active adolescent. Growing up, she was a keen netballer and played at a high level. Nicole’s intense training/game demands and subsequent injuries led her to osteopathy. She was instantly attracted to the profession, its holistic approach to treatment and patient centered care. This, combined with Nicole’s passion for the human body and all of its functions led to pursuing a career as an osteopath. Nicole was born and raised in Blackburn, and adores being able to work and build her practice in a suburb that is very dear to her. Nicole has worked closely with The Blackburn Football Club throughout her years as a student and now as a professional. She has also worked as a Corporate Remedial Massage Therapist, providing relief to desk workers for many postural and stress related issues. Such experience has given her the opportunity to treat a wide variety of conditions from acute sporting injuries, to headaches and chronic pain. 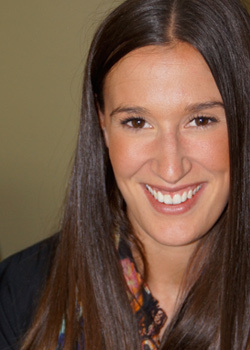 Nicole has a keen interest in the management of acute injuries, headaches and women’s health. Nicole is pursuing further study in these areas and is always keen to learn more. Nicole is a very open and warm osteopath, who loves to motivate her patients to take an active role in their health and wellbeing. Nicole is passionate about building a balanced and healthy lifestyle. She encourages her patients to take a primary role in their recovery and ongoing maintenance, while taking into consideration many lifestyle factors that may affect this. She is a qualified dry needling practitioner and frequently uses this as an adjunct to her treatment. Nicole prides herself on catering her treatment and management programs to each individual and their specific needs. Nicole leads an active, fun and healthy lifestyle, attributing her bubbly personality to this. She loves to travel, read and spend time with her family and friends. Nicole’s favourite place to belt out an epic tune is in her car and her day is not complete without a soy latte and big sloppy kisses from her dog, Alf. Nicole is very pleased to be a part of the team at The Osteopaths of Blackburn where we offer Osteopathic care to the whole family in a relaxing and caring environment. Please feel free to contact Nicole to discuss whether Osteopathy may be beneficial to you, your family or friends.